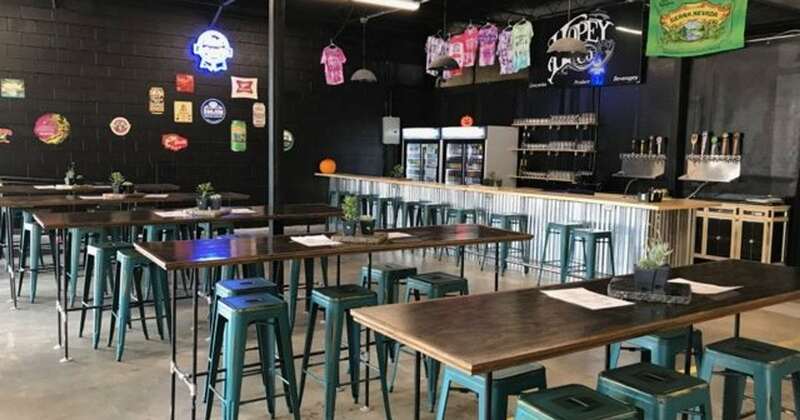 Hopey & Co. Asheville Taproom - Beer and Wine - Over 20 Beers on Tap! Asheville is known as Beer City USA & We celebrate with 20 beers on tap, and also offer wine by the glass. Come play ping-pong, or just kick back and catch a game on one of our 4 big screen TV’s! Asheville is known as Beer City USA... & we celebrate with 20 beers on tap, and also offer wine by the glass. Come play ping-pong, or just kick back and catch a game on one of our 4 big screen TV’s! Awesome Food and Great Prices! "I can't even begin to describe how awesome this place is and how much sooner I wish I had discovered it because the people are friendly, the prices are great and the food is delicious!! I would highly recommend anyone who hasn't been there to check it out because it's worth the time and the drive!" Always Able to Find Just What You Need! "I'm always able to find healthy stuff for very good prices! Quinoa, oat bran, flax seed, chia, whole wheat pancake mix, etc. my fave is “Fantastic “ taco mix!" "Sadly we don't live in Asheville any more... However, we are back 4 - 5 times a year. Hopey Co. Is a MUST stop. I'm just now enjoying a piece of the many fine chocolates I get there, not to mention the variety of cheeses to be had for a fraction of cost. Too much to mention. A hidden Gem of Asheville!!"